Put the Broad in Studying Abroad. If only Amsterdam were a popular place to study. 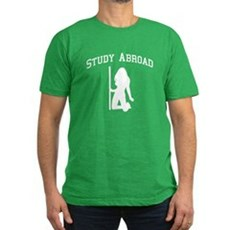 We've got an awesome collection of Study Abroads, hoodies, gifts and more. We specialize in Study Abroads and many more funny, vintage and retro t-shirts. Featuring a full line of novelty shirts, crazy t-shirts, adult graphic t shirts for men and women. All orders come with a 30 day money-back guarantee and most ship within 24 hours.